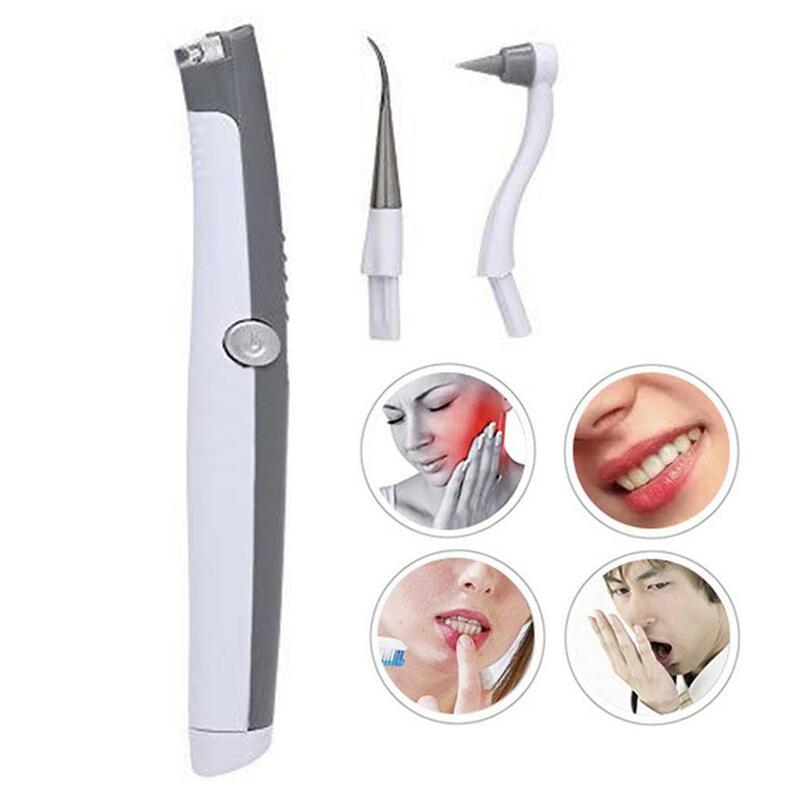 This device is essential in people who drink black beverages such as coca cola, tobacco and smokers since they remove plaque and tartar accumulated in their teeth. 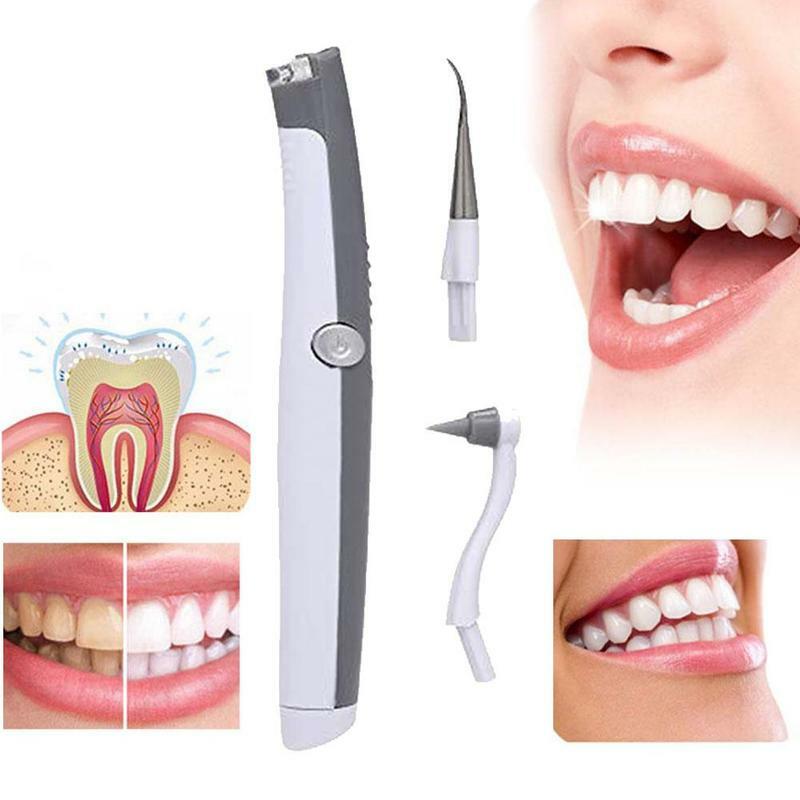 The ultrasonic dental latch with LED light provides a clear view and cleans your teeth with precision. 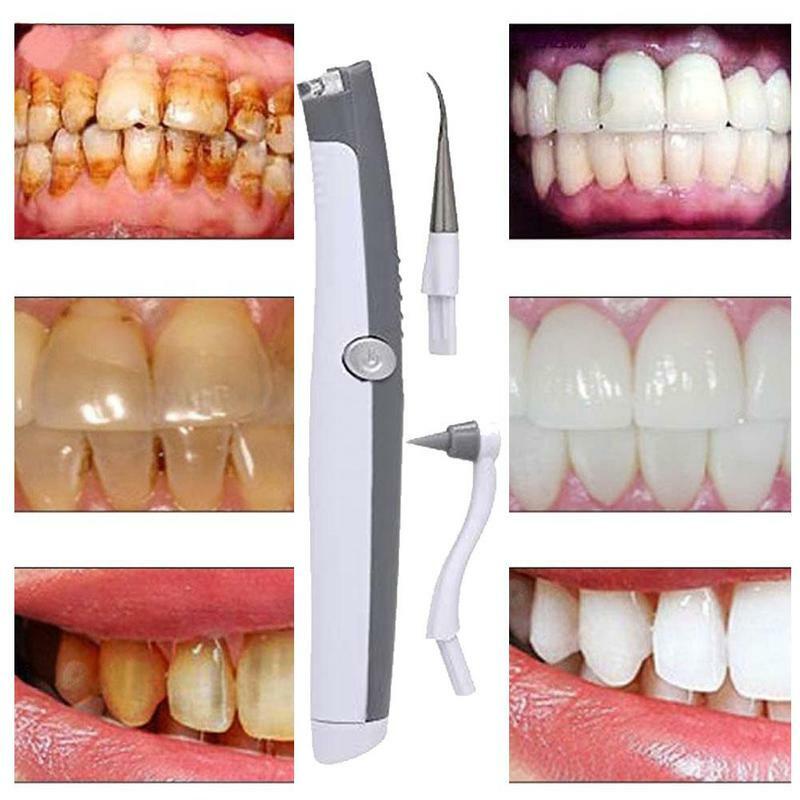 Gently removes tartar and stains, provides superior cleaning and whitening. It can help regulate blood circulation around your oral to keep teeth healthy and white. Silicone thread tip for healthier chewing gum. Sonic pulses help to scale plaque and leftover teeth, whiten teeth and massage gums. It comes with grinding heads to exchange to meet your needs. 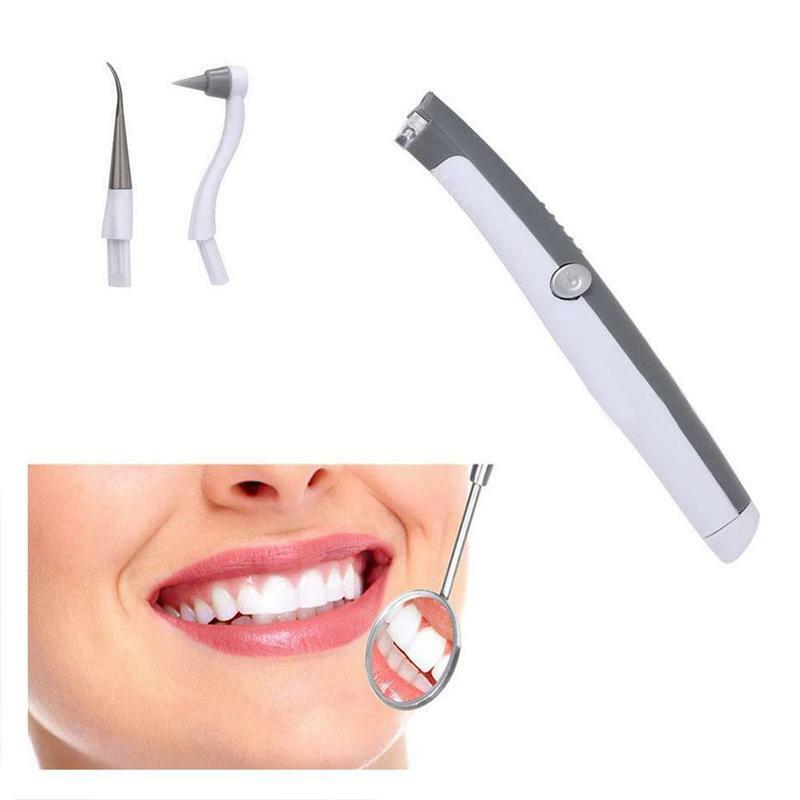 This dental tool kit keeps your dental healthy, perfect gift for your loved ones. this thing is amazing! already tryed it. I cant believe it really works! and that essence is wow! all stains from smoking gone in a few seconds! Works perfectly succeeded has eliminated all tasks as j'avais on teeth in tobacco and coffee! I recommend! Sooo cool thing! I once tried plaque clean as in dentistry. . Very comfortable, hand hold nice. In General I very happy purchase. Good store, Shipping was fast.